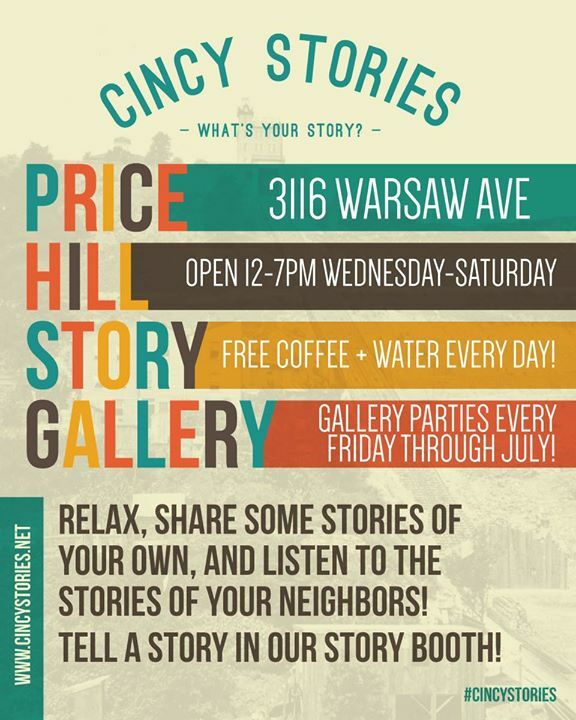 Cincy Stories is opening our second Story Gallery, this time in East Price Hill. Come to our Gallery Opening party on Friday, July 7th, to see the space, watch some stories, and even share your own story in our Story Booth! We’ll have free food and beverages for all who attend! Come and go as you like! We’ll be spending the next 5 months hosting events, making films and doing community engagement projects all based around building community through story in each of Price Hill’s 3 unique neighborhoods!